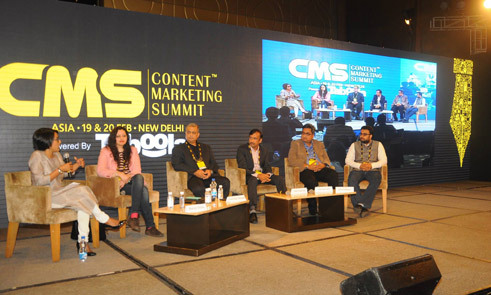 In this age of social media, businesses need a steady stream of content that resonates with their respective target audience. In fact, 70 percent of B2B marketers are now creating more content than they did in 2016, according to CMI Report. So it is quite obvious that the social media is full of noise and you need to create great content to be heard by your audience. But doing that is easier said than done. That’s exactly where your content marketing strategy comes in place. It will help you to plan, produce, promote, and measure the ROI of your content. But before you start creating a solid strategy, there a few things to consider. For instance, take time to think through your business objectives and decide what kind of content or which social media sites you need to focus on. This might seem like a lot of work up-front, however, in the long run, it will reduce your workload while making your content more effective. Why do you need a content marketing plan in the first place? How will content marketing help your business grow? Should it help you improve your sales? Or perhaps it is directed towards brand awareness? It is important to know why you want to produce content even before your start preparing a marketing strategy for it and how it fits and serves your overarching marketing goals. Based on your goals, you can form your strategy. Improve your brand awareness. A study from Oracle and Aberdeen Group found that 74 percent of CMOs consider brand awareness as a top priority. With quality, authoritative content you can easily showcase your company’s expertise. Drive better and more targeted traffic to your website. According to a HubSpot report, compounding blog generates 38% of overall traffic. Another 2015 study found that businesses publishing 16 or more blog posts in a month receive 3.5X more traffic than businesses publishing 0-4 monthly posts. Generate sales leads. The same 2015 HubSpot study also found that companies publishing 16 or more blog posts per month receive 4.5X more sales leads compared to companies publishing 0-4 monthly posts. Convert leads into customers. The 2016 Demand Gen Report found that 47 percent of buyers have viewed at least 3-5 pieces of content from the brand before connecting with a sales representative. Improve customer retention and drive upsell. A study by Bain & Co. found that a 5 percent increase in your customer retention can improve your profitability by 25–95 percent. By ramping up your content marketing strategy you can stay at the top of mind of your current customers, who in turn, are more likely to stay loyal to you. Unlike your social media goals, your content marketing goals should align back to your business goals. So don’t think in terms of Likes, Comments, Retweets or Favorites. Rather, try to find the purpose of your content (apart from just sales) and where they fits the larger picture. Let’s consider the example of Coca Cola’s Content 2020 vision, for instance. Coke’s purpose for Content 2020, surprisingly, has nothing to do with sales. It is to “Make the world a better place!” From their ads and marketing campaigns to their corporate social responsibilities, their strong mission statement is reflecting in everything this brand in doing. Most importantly, this mission statement provides Coca Cola a huge creative opportunity, from the content marketing stand-point. To create a successful content marketing plan, you need to know your content’s target audience. Based on the content marketing goals you have, you need to create an audience profile and channel your content ideation and creation to lure your target audience. While this is especially important for businesses that are new to content marketing, experienced marketers can also benefit from such market research when it come growing their audience. There are various ways to conduct persona research, including database analysis, qualitative primary research, quantitative primary research, and so on. If your time and budget permits, conduct some sales and customer interviews to know more about persona identification as well as to understand their problems, objectives, and preferences etc. What types of content do your target audience share? Where do they spend most of their time (e.g. website blogs, forums, social media sites etc.)? How can you address these needs and pain points? How can you best reach them (i.e. via search engine, advertising, social media, YouTube videos etc.)? The goal is to create content that resonates your specific buyer personas and publish them on platforms where you are most likely to find your target audience. Once you have this ready, it is time to map this audience profile to your sales funnel. Consider this buyer persona example created by Iron Springs Design. The company did a brilliant job of giving details about the ideal customer for a coffee shop brand. They give a detail of a day in Sarah’s life and further explains how the coffee shop’s offerings resonate with it. In fact, it is a very good way, especially if are struggling to create your buyer persona. Imagine what their typical day is like and see how your content fits into it. Talk of measuring marketing efforts is already of the established business marketing trends and content marketing is no exception. Despite that 37 percent of content marketers fail to complete a content audit. They fail to realize that a well-conducted, regular audit of the existing content will help improve their content strategy. A content audit involves a complete analysis of all your existing content, including your blog posts, website content, social media posts, podcasts, and so on. A well-conducted audit will help you understand your strengths and weaknesses and adjust your content accordingly so that it resonates your current marketing goals and activities. For instance, if you are into content marketing for a long time, review your efforts from the previous years and the result you are getting from it. Identify things you can do differently and set new goals accordingly. If you already have a written content marketing strategy, just update it with the data gathered from the audit. Which parts of your website/blog generate the most traffic? What is your bounce rate, if any? Why do you think users are bouncing away (e.g. slow loading time, 404 errors, page lack relevancy, or they are unable to find the content they are looking for)? Which pages convert the most users? Which content can be optimized for better ranking? Which pain points within your website can be quickly fixed? What are the gaps within your content strategy and how you can use new content to fill them up? Understand that this is a time consuming process as you might need to rewrite some of your low quality content, while eliminate others completely, especially those you don’t plan on improving. Based on your findings, you need to makes changes in your content plan a strategy for the next three months. Start with removing content gaps and keyword mishaps and then gradually move on to bigger pain points. A periodic analysis of the performance of your new content is also recommended. Before you start brainstorming your content marketing strategy, remember that it involves a lot of research. 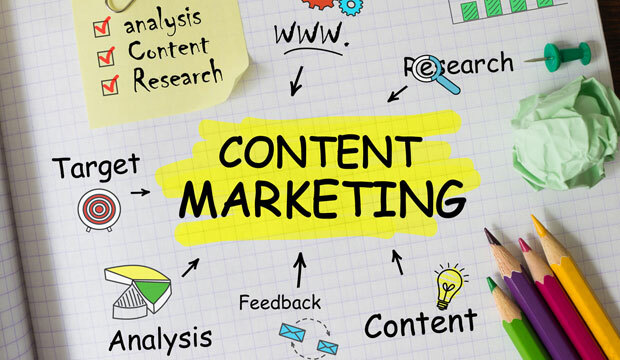 In fact, research and data are at the core of successful content marketing strategy and you will need them at every stage of your marketing efforts, be it ideation, creation and promotion of your content. You need data to set your business goals, to identify your buyer persona, and so on. But this is just the beginning. Your ability to research and data digging is also imperial to creating interesting and engaging content that your audience will get hooked to. That said, if you get this three things right before you start planning, you have already won half the battle as they will, if rightly done, help you get better results for your business and for your audience. About the Author – Pratik Hambardiker is the founder of Outsourcing Insight – a platform that helps leverage the performance of various businesses by outsourcing accounting & finance elements. He has more than 15 years of experience in the outsourcing industry and digital marketing. Connect with him on Twitter @pratikh.